Wouldn’t it be great if marketers could automate the repetitive marketing tasks and personalize their content to every single one of their buyers according to their interests? But it is almost impossible to manually personalize the content of your website and marketing channels. However, with the right marketing automation WordPress plugins, you can A/B test what works best on your WordPress site and automate the repetitive marketing tasks. You can also use it to offer a personalized user experience on your website. In fact, studies show that personalized content performs 42% better than static content. This post will mention 10 automation plugins that help you track your marketing data, automate the repetitive tasks and personalize your website content based on customers’ preferences. Product recommendations are one of the best examples of content personalization that can supercharge your eCommerce sales. A study conducted on more than 100 eCommerce retailers reveals that the conversion rate for recommended products in the shopping cart was 915% higher than the average. 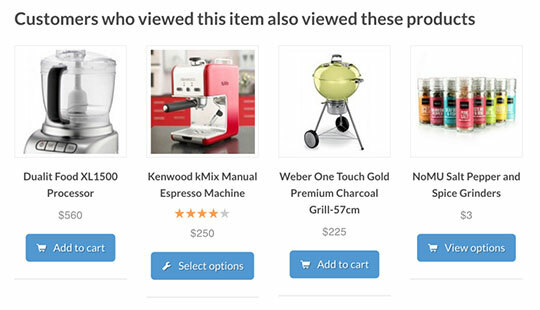 If you’re in the eCommerce business and didn’t leverage the potential of product recommendation yet, you’re leaving a lot of money on the table. Online retailers recommend products to their customers based on the product views, purchasing history and other customer preferences. If your eCommerce store is powered by WooCommerce, you can install Recommendation Engine plugin to your store. It allows you to configure Netflix and Amazon-style product suggestions for your customers and greatly helpful to increase the average order value by cross-selling and upselling. It’s a no-brainer that for personalizing the content based on your customer preferences, you’ll need to gather more data and understand the user behavior. With Leadin plugin, now you can easily gather more information about each individual user and convert more visitors to customers. Below are a few benefits of Leadin plugin. It helps you understand what web page a visitor has viewed before and after becoming a lead by using a browser cookie. 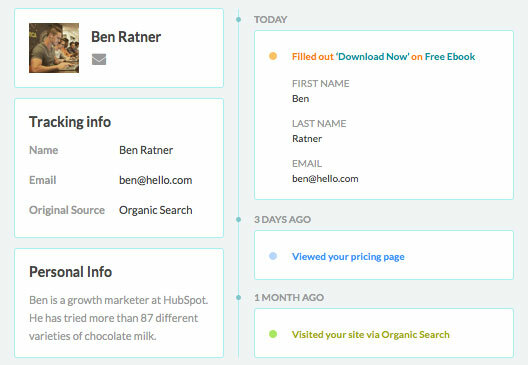 Once a visitor subscribed to your list, it automatically gathers publicly available data about each of your contacts such as location, work history and company info, etc. It also helps you figure out what content and traffic sources performs well when it comes to converting a visitor into a customer. Most of your readers decide whether to read your blog post or not by just looking at the post title. The title sets clear expectations for your readers. For that reason, it can make or break your blog content. However, when it comes to writing the title for blog posts, most of us trust our instincts rather than A/B testing different titles and keeping the higher performing title. What if you can A/B test your blog post titles and keep the one that performs well? This is what exactly Title Experiments plugin does. All you need to do is install the plugin and write multiple titles for your blog posts, so it will automatically keep the title that performs well permanently. We’ve already seen that suggesting products to your customers can be an effective marketing automation tactic to generate more sales for your eCommerce store. Aside from recommending products to your customers, you’ll need to analyze the purchase behavior to review how your customers browse through your store and what pages they visit before making a purchase. If you’re running a WooCommerce store, you can install WooCommerce Customer History plugin to analyze the purchase behavior, view in-depth insights about customer’s browsing habits and calculate customer lifetime value. 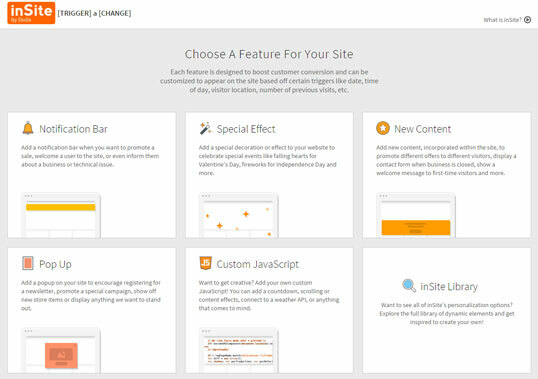 inSite for WP helps you convert more visitors into customers by automatically changing the content of your website based on a pre-determined trigger point such as time, location, or the number of previous visits. Using this plugin, you can increase the engagement rate by personalizing the content on popups, notification bar and more. Yet Another Related Posts Plugin is one of the most popular related post plugins in the WordPress ecosystem. You can display pages, posts and custom post types based on the content of the page where your visitors are. In fact, displaying related post will not only increase the engagement rate with your content but boost your search rankings as well. In case, you’re looking for more related post plugins, you can find it here. Drip is one of the most popular email marketing automation tools. This SaaS tool is not just limited to self-hosted WordPress websites. If you’re a small business and looking for an affordable email marketing automation tool, Drip might be the right choice for you. 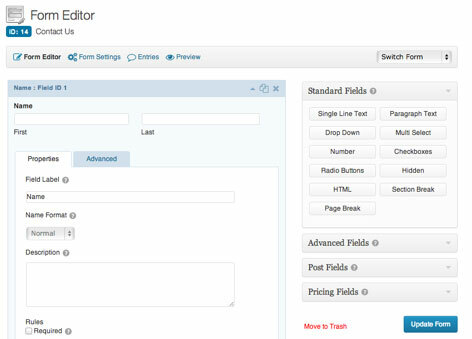 Drip allows you to collect and send emails to your prospects based on the customer behaviors. Best of all, it can be integrated with Gravity Forms, PayPal, LeadPages, Unbounce, etc. Price: Plans start from $49/month with the maximum of 2000 subscribers. Key Performance Indicator (KPI) is a metric that is vital to your online business. It tells you what works for your business and what doesn’t. Some of the eCommerce KPIs are listed below. How would you use KPIs to make a real impact on making more sales and increasing the revenue of your store? For instance, if you find that shopping cart abandonment rate is too higher than the normal standards, you’ll need to focus on reducing the abandonment rate in order to generate more sales. Smart Reporter helps you calculate the KPIs of your store. The plugin is compatible with both WooCommerce and WP eCommerce powered stores. If you’ve been blogging on WordPress for a while, I am sure that you might have already heard about Gravity Forms. It is an advanced, feature-rich contact form plugin for self-hosted WordPress websites. Its features include but not limited to a visual form builder, confirmation emails, conditional logic and form entry management. It’s conditional logic features let you easily control what info your user is asked to provide and tailor the form according to their specific needs. If you’re a Gravity Forms user and looking to automate your marketing tactics, you can find it here. ORBTR is WordPress-based marketing automation plugin that lets you track the leads’ behavior and help you understand when they return to your site. Best of all, the basic plugin comes for free of cost. If you need more features like the ability to track leads from email campaigns and more, you can use its pro version that costs $99/month. Understanding thoroughly what activities are considered to be “marketing automation” is quite overwhelming. How about someone gathering all the sophisticated tools in just one plugin for you, would you take that decent deal? So WooCommerce Marketing Automation plugin by Beeketing aims to do that. And many other features will be added by Beeketing frequently. If you’re looking for a tool that helps nurture the relationship with your customers and increase online sales and conversion rate, WooCommerce Automation plugin is really a good choice that’s worth trying. This article is written by Shahzad Saeed. He specializes in content marketing for startups and small businesses. He writes on e-Commerce, marketing, design, and CRO. Say him hi or hire him for your next writing project. Follow him: Twitter | Facebook | Google+ | LinkedIn. 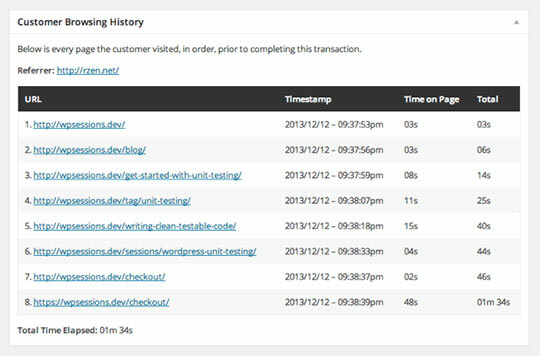 Thanks for sharing this list of WordPress Marketing automation tools plugins. It will work as a reminder to WordPress users.